By 2020, the app economy could double in size to $101 billion, according to market researcher App Annie. Mobile apps have emerged as the preferable mode of accomplishing tasks today. Whether it is the general productivity or the utility apps for booking a taxi, hotel, flight or instant messaging, mobile apps rule the roost. Businesses around the world are tapping into the power of mobile apps as well. 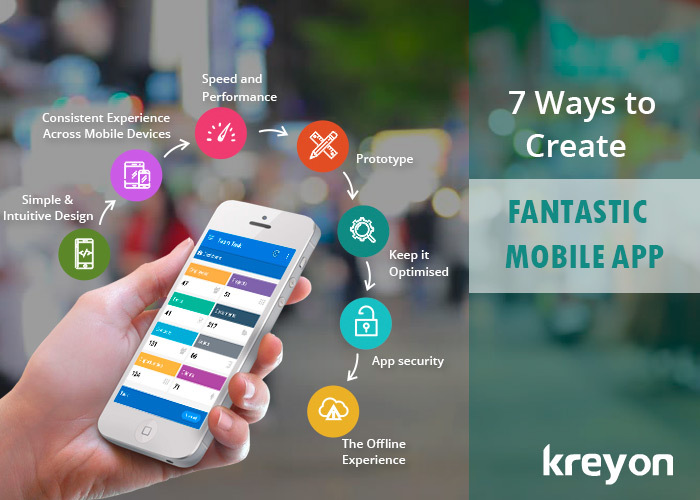 Here is a brief study that researches the most successful mobile apps and offers pointers on how to create them. Designing simple apps is complex. It requires deep understanding of the users and what they need to with the app. Most apps that are successful are designed with utmost simplicity. They help the users to accomplish their tasks in three or four steps. The intuitive and simple apps are very important in catering to a large user base. Understand your users; design so that navigation is easy even for a newbie. With the number of different devices, screen sizes and types of smart phones, it is a challenge to cater to them all. A good mobile app provides consistent experience across devices, Operating systems; screen sizes and resolutions. An app should be designed to take various screen resolutions and sizes into consideration. The best apps have consistent user experience across tablets, smart phones and other mobile devices. Mobile apps are primarily meant to solve some customer issue. The app should be architected to maximise performance. The app can use an appropriate caching strategy to improve performance. The app could leverage its own local database or access data from centralised web database as per requirements of the system in consideration. Mobile caching and overall app architecture can have significant performance/usability impact. Prototyping is an important element in the mobile application development. The fully interactive, high quality prototypes help in clear understanding of the app and the workflow. The developers and the client can exchange ideas once the prototyping is done. The inputs and feedback can also be incorporated with clear direction with the app prototype. The size of the mobile app, its design and functionality all affect the usage of a smart phone. The way an app is designed is crucial to the smart phone’s performance too. Using too many complex features, whistles, device camera, location etc can drain the battery of the phone. Also, the data limits can be kept reasonable with optimised synching etc. With the growth in the number of interconnected devices these days, security of an app is very important. When dealing with enterprise, personal or secured data, an app must be fool proof. Mobile app security should enforce access and data protection measures. Security policies must be administered in line with the requirements of the system, policies like secured coding standards, session management, data encryption, corporate level authentications/authorizations; etc may be used to mitigating risks. The best apps create seamless user experience even when consumers are offline. When designing an app, it is important to think about the user experience in offline mode. The offline usage of the app can improve its penetration and user base too. The app should automatically be able to switch and synch data between online & offline modes. Mobile apps are redefining the ways in which several industries operate today. Businesses are looking to tap into the power of mobile apps to maximise their productivity, workforce automation and even use it as a competitive differentiator. The app economy is changing the way commerce happens around the world. They are also bridging the gap between the physical and digital world.